It's true! 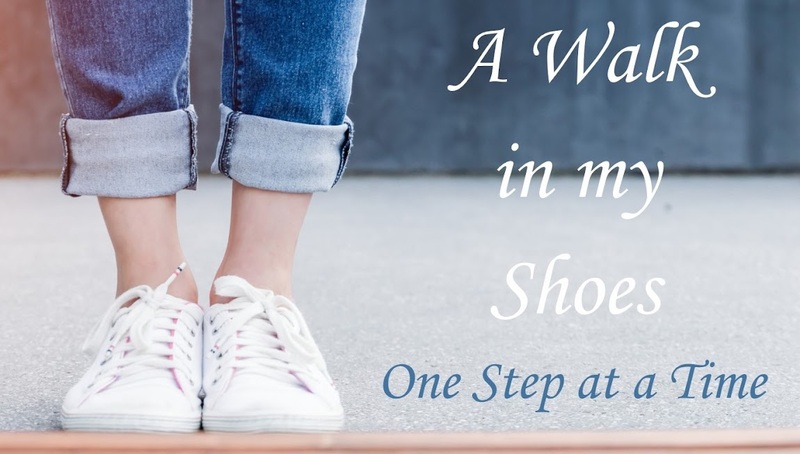 Maybe it isn't a new pair of shoes. Maybe it's something else. But something, anything, new, will change your life. I have always been a very safe person. By that I mean, I am hesitant to try new things. I think the hesitancy stems from fear of failure. I am contemplating making some big changes in my life, but I just can't seem to make the move. 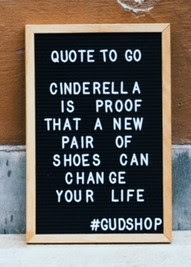 Yes, what this sign says is true, but what if the new pair of shoes changes my life for the worse instead of for the better? Yeah, I know, pessimistic. My aunt passed away, and this past week, my brother and I flew together to Chicago for her funeral. He is the polar opposite of me. He embraces change. He thrives on trying new things. He flies by the seat of his pants and has no problem adjusting to all the hiccups he encounters. This made it hard to travel with him (let's just say we are lucky we made any of our flights on time), but it also inspired me. I don't think I will ever be as carefree as he is, but I am inspired to make the changes I mentioned above. I am also inspired to try new things. I don't want any regrets. What about you? Are you a change junkie? Or are you boring and predictable like me? My sincere condolences on the passing of your aunt! I can perfectly understand you, as I am also hesitant to try new things or make a new move. However, I wouldn't go so far as to consider an hesitant person as boring or predictable. Thank you, DUTA. It wasn't unexpected, but she will most definitely be missed. I am, first and foremost, a wife and mother of three awesome, not perfect, grown children. Second, I'm an aspiring Author. I gladly welcome any tips, advice, ridicule, and, most appreciatively, praise.